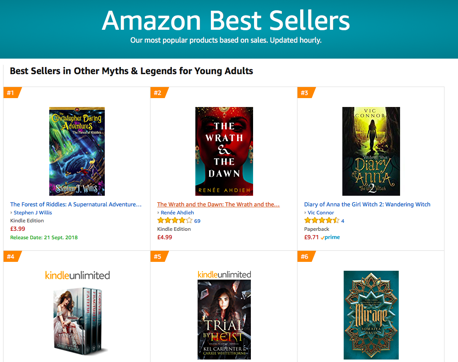 Finding my new book: The Forest of Riddles at a number one slot on Amazon last Saturday really made my day! 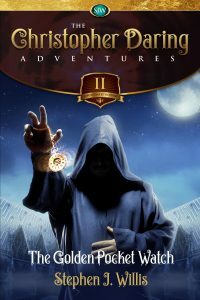 The book, set for release on the 21st of September, will be accompanying its sister book in the Christopher Daring series: Spirits of the Dead. 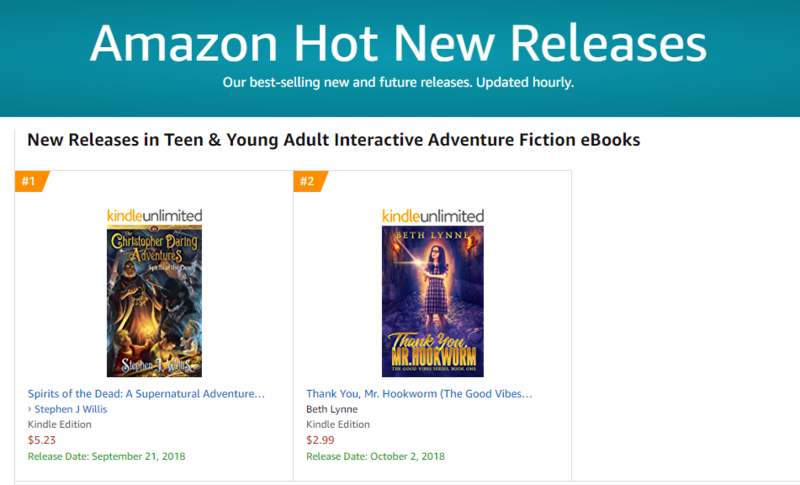 On Thursday of this week I also had some amazing news, with Spirits of the Dead hitting number ONE in its category. So as you can imagine it has been a pretty good week. It’s certainly a busy month! To add to the current buzz, the on-line giant BookBub will be featuring Spirits of the Dead on the 29th September. 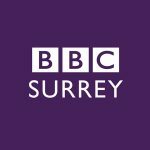 BBC Radio Surrey, also requested an interview with me to discuss the new launch. So I had the chance to chat with presenters James Cannon and Lesley McCabe on Tuesday around 9:15am on 11th September. It was a great interview, wherein we talked about the two new books and the series overall. If you missed it and want to have a listen to the chat, just let me know. 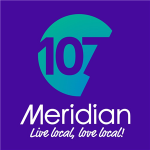 And speaking of radio interviews, I have another on Wednesday 26th of September, where I will be talking to my local presenter Samantha Day at Meridian107 FM. I will be in the studio at 10:15am chatting about the books. 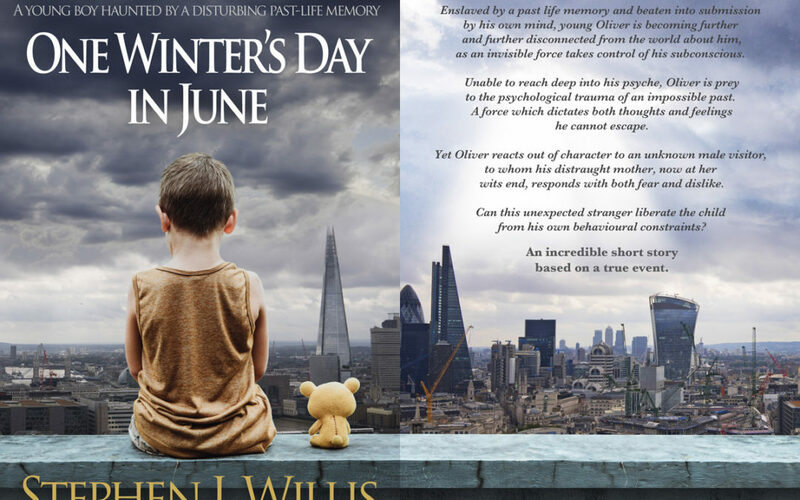 Don’t forget the book signing of both books will be on the 6th October 2018 at The BookShop, at the top of town in East Grinstead, West Sussex, England. Now, I’ve spoken in the past about the illustrators that have worked on my most recent Christopher Daring books— whether for the covers or for the inside illustrations — but I don’t believe that I have mentioned the first graphic designer that jumped on board in the early days. 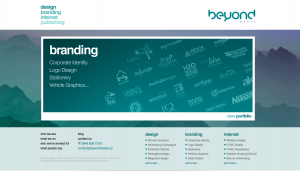 Jesse Reuben Wilson, of BeyondMedia, was the first person that I discussed the idea of branding with. Now Jesse, apart from being an excellent music producer and the editor of the on-line Bandit music magazine, is also an incredible designer. He is one of the few people I know who is just amazing at whatever he does. I approached Jesse a few years back with my original Christopher Daring short stories, and he was keen to get the book covers just right. He has a natural eye when it comes to creative design. And not just that, he also tends to underpin his talent with some pretty clever intelligence. 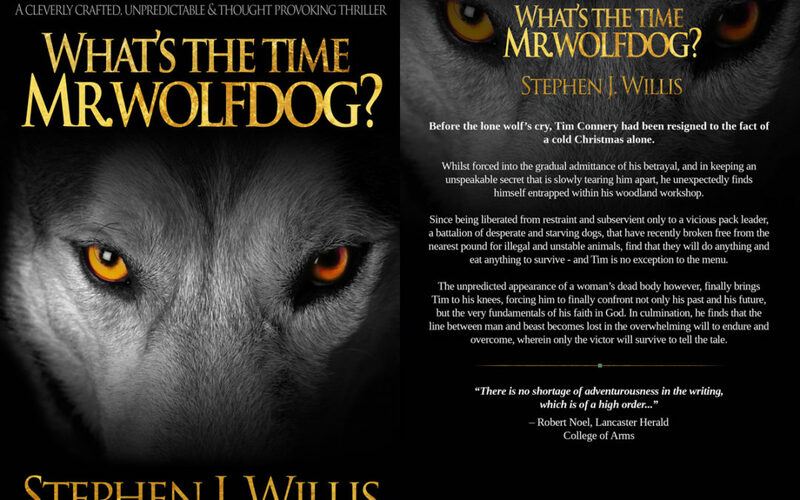 Before long however, Tim suddenly finds himself surrounded by a battalion of desperate and starving dogs that have recently broken free from the nearest pound for illegal and unstable animals. Since being liberated from restraint and subservient only to a vicious pack leader, they will do anything and eat anything to survive – and Tim is no exception to the menu. 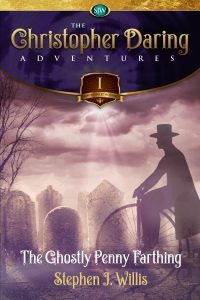 But the sudden appearance of a dead body finally brings Tim to his knees, forcing him to finally confront not only his past and his future, but the very fundamentals of his faith in God. It becomes apparent thereafter that death is no stranger to Tim, when truth is revealed at even the most unexpected of times.